rinse in second (2) pail of Bird House Protector. Winter door stops should be put in place before replacing gourd to mounting bracket. Wash each gourd in the same manner. Note: Birdhouse Nesting Pocket Gourd Cleaner can be used prior to the laying of eggs. Remember that this is a very delicate time during mating; care needs to be given when spraying. Do not use during the hatching period, as small disruptions can disrupt or disturb the incubation/germination period. 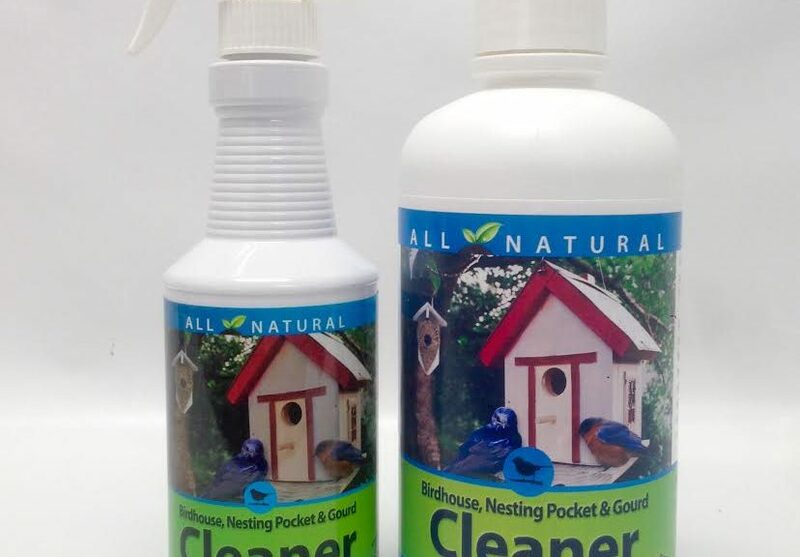 Bird House Protector can be used two to three weeks after feathers appear; a very fine mist can be sprayed around the baby birds, but not directly on them. Remember, this is a very delicate time in which we do not want to disrupt the nurturing behavior of the adult bird.